Take rural France and mix with wine, cheese, drugs, and Nazis plain and neo. Result? Martin Walker’s Bruno, Chief of Police. St. Denis is a small village in Perigord in the south of present-day France. 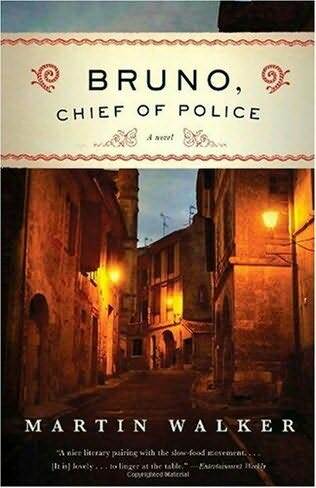 The first chapter opens on a beautiful day in May, with Bruno Courreges, St. Denis’s chief of police, surveying his village from upon high with no little satisfaction, but also with no illusions. St. Denis has its problems, including feuding World War II vets and interfering EU inspectors, but Bruno, a refugee from war himself, has found a home in this little valley in the Dordogne and his love for it does not blind him to its realities. He had worn [his gun] on duty on only three occasions in his ten years in the Police Municipale. The first was when a rabid dog had been sighted in a neighboring commune…The second was when the president of France had driven through St. Denis on his way to see the celebrated cave pantings of Lascaux nearby…The third time was when a boxing kangaroo escaped from a local circus. On no occasion had Bruno’s gun ever been used on duty, a fact of which he was extremely but privately proud. N.B. : Barbara Peters of the Poisoned Pen Bookstore gets the credit for introducing me to Bruno. Thus it is proven, the indispensable nature of the independent bookstore with a well-read staff. In gratitude, all the buy links on this post are through the Poisoned Pen. Support your indie bookstore!